Is it a town? Is it a village? Whatever you call it, Agaete's one of the most unforgettable places you'll visit on the island. And if you explore the whole of municipality, you'll discover a Gran Canaria that's a world away from its southern resorts. There ain't no party like an Agaete fiesta. One of its main ones is August's Fiestas de la Rama, celebrated in Agaete central. This involves branches being carried down from the Tamadaba mountains above to beat the water at Puerto de las Nieves in an imitation of an aboriginal ceremony to ask the gods for rain. 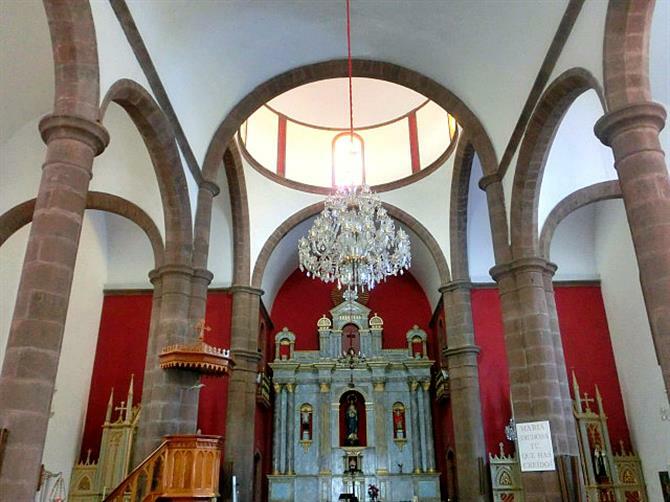 There are also religious elements to this party, with branches offered to the municipality's patron saints including San Pedro in the Valle de Agaete hamlet of the same name. 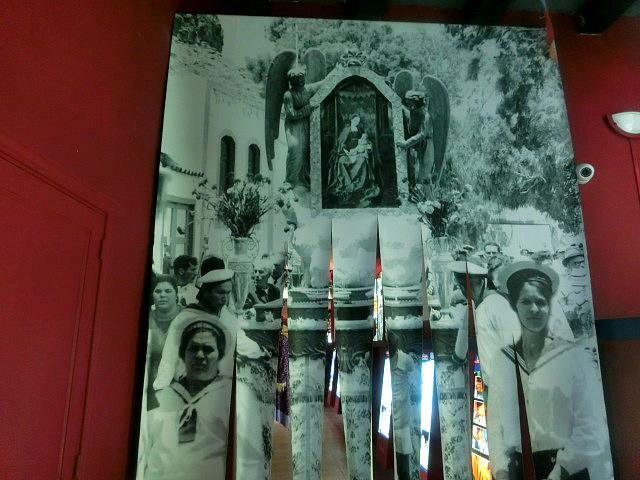 Find out more about all these events at the Museo de la Rama (Párroco Alonso Luján 5) which you can only enter by requesting to do so at the Oficina de Turismo de Agaete (Nuestra Señora de las Nieves 1, 928 554 382). As well as the Rama celebrations, there are fiestas held throughout the year including lively processions known as romerías. At The Rama Museum, you'll learn about papagüevos,Papier-mâché heads of popular local characters mounted on a wooden frame. These are carried about the Agaete favourites themselves during the Rama. The only exception is Maggie, an American expat, once secretary to US president Lyndon Johnson, who retired to the area. She changed her will to allow her papagüevo to be used after her death. Just around the corner from the Museo de la Rama, on the village's main square, you'll find the Iglesia de la Concepción. This striking parish church dates back to 1874, replacing the original chapel (1515) which burned down in a fire. In Agaete's port, Puerto de las Nieves, there's also a small hermitage, the Ermita de Nuestra Señora de las Nieves. 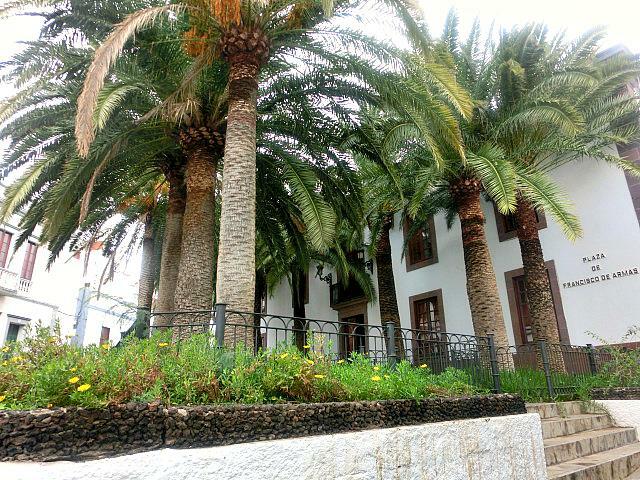 Standing proud on the Plaza de Francisco de Armas is the Ayuntamiento de Agaete. This town hall is like every other building in Agaete in that it's white. If you're a property owner in Agaete you risk a fine if you don't paint your building with white walls and green or brown doors (village and valley) or white walls and blue door (port). Once upon a time, the ruling family in Agaete was the De Armas familia. They owned what has since become the town hall along with the village's botanic garden, the Huerto de las Flores. Indeed, Gran Canaria's premier poet Tómas Morales who worked as a doctor in Agaete married into the family. He loved to compose poems in the tranquility of the Huerto de las Flores, along with meet up with literary pals Saulo Torón and Alonso Quesada. The idea for this garden came about after a family member asked a friend to bring back seeds from his holiday to plant on Gran Canaria soil. There are now plants from all of the five continents. But curiously they still blossom as they did in their home country, rather than adapt to Canarian seasons. There's even an example of a chewing-gum tree. One which the famous Wrigleys themselves have used in their products. Villagers used to come and fill bags with the fruits of the various trees, after being invited to do so by the De Armas family themselves. At first, the Valle de Agaete resembles California's Death Valley. 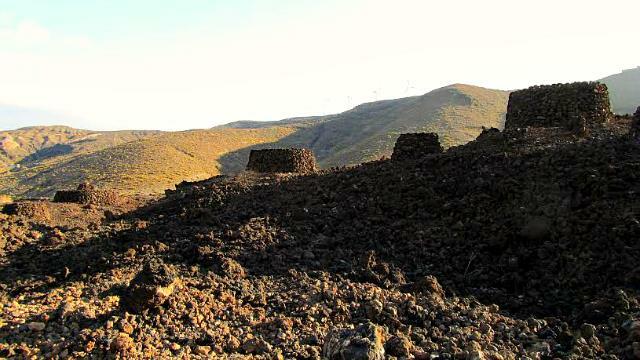 The landscape's dry, with the Necrópolis de Maipés built on volcanic ground. Combine a trip to this canarii cemetry with a visit to an aborginal granary, Guía's Cenobio de Valerón, for a bargain price of €5. Heading away from the village, Agaete's valley becomes greener. 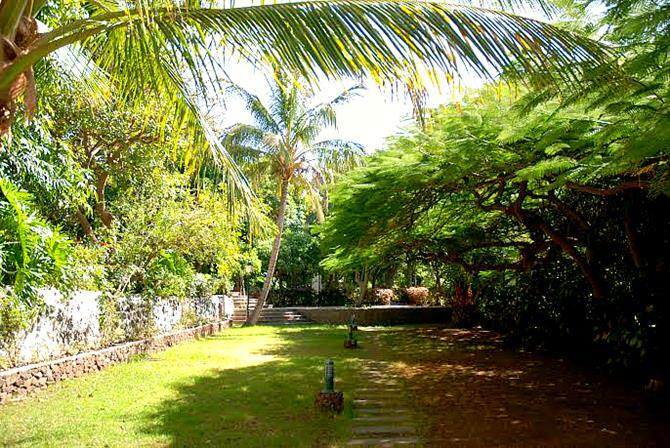 It's a land where imported cacti and their fruit, tunos, flourish, along with coffee, oranges, and papaya. Here, you'll be able to sample some of Gran Canaria's most highly-regarded wines, from Bodega Los Berrazales.